(Jerusalem) – Israeli security forces have used unnecessary force to arrest or detain Palestinian children as young as 11. Security forces have choked children, thrown stun grenades at them, beaten them in custody, threatened and interrogated them without the presence of parents or lawyers, and failed to let their parents know their whereabouts. Human Rights Watch interviewed four boys, ages 11, 12, and 15, from different neighborhoods of East Jerusalem, and a 14-year-old girl and 15-year-old boy from elsewhere in the West Bank, whom Israeli forces arrested or detained in separate incidents for allegedly throwing rocks from March to December 2014. They and their parents gave accounts of abuses during arrest and interrogation that caused the children pain, fear, and ongoing anxiety. Human Rights Watch has seen photos and marks on the body of one of the children, consistent with the accounts he and his parents had given; the children’s accounts were also consistent with each other. In every case Human Rights Watch documented, the children and their parents told Human Rights Watch that Israeli authorities did not inform parents of their child’s arrest and interrogated the children without permitting them to speak to a parent or lawyer prior to the interrogation. In five of the cases, the children said that interrogators either did not permit their parent to attend their interrogation or allowed them entry only as it ended. Two 15-year-old boys and the 14-year-old girl said they signed confessions written in Hebrew, a language they do not understand, after interrogators threatened them. One boy said police “punched and kicked” him, then presented him with the Hebrew confession to sign. Rashid S., 11, said that Israeli border police forces officers threw a stun grenade (a non-lethal explosive device that produces a blinding light and intensely loud noise causing loss of balance) at him and put him in a chokehold when they arrested him for throwing stones in November. He said that officers put a black bag over his head, threatened him with beatings, and kicked him in the shin while taking him for interrogation. The border police forces pulled his coat and shirt off during arrest, but kept him outside for about an hour despite cold temperatures, he said. Human Rights Watch observed photographs of police arresting him and marks on the boy’s leg consistent with his account. Rashid’s full name and the full names of another person interviewed are not being used for their protection. Two of the boys Human Rights Watch interviewed said they had urinated on themselves in fear at the time of their arrests, and three said they had experienced nightmares and difficulty in sleeping afterward. The families of the 14-year-old girl and a 15-year-old boy said they were not allowed to visit or even call during their detention – 64 days for the girl and 110 for the boy. Another 15-year-old boy from East Jerusalem, Fares Shyukhi, said Israeli border police officers strip-searched, slapped and kicked him, threatened him, and jailed him from March 6 to April 2, 2014, on suspicion of throwing rocks and a Molotov cocktail at a settlement in his neighborhood. He was later released to indefinite house arrest, but jailed again from late October to January 6, 2015, after failing to appear at a court hearing, his family said. On January 6, Fares was returned to house arrest and his conditions were eased slightly the same month, after his lawyer informed the Jerusalem magistrates’ court that the boy had threatened suicide, allowing him to leave the house for six hours a week if accompanied by his mother. On March 29, the judge lifted his house arrest, but Israeli border police have detained him twice since then, he told Human Rights Watch, once violently, claiming wrongly that he was violating his house arrest. Israeli border police forces put another 11-year-old boy, Ahmad Abu Sbitan, in a chokehold while arresting him outside the gates of his school in another East Jerusalem neighborhood, according to the boy and photographs of the incident, and arrested a 22-year-old man who sought to intervene non-violently, Ahmad and the man, Mohammed H., said. Police later strip-searched and beat the 22-year-old in the room where Ahmad was being detained, he told Human Rights Watch. Police picked up the 12-year-old boy, Mohammed Khatib, while he was waiting to take a bus home from school outside the Old City of Jerusalem. A policeman “grabbed the back of my jacket and lifted me off the ground, I was choking,” the boy said. A police officer told the boy’s father that police were looking for a stone-throwing suspect “wearing a blue shirt,” the color of the boy’s school uniform, his father said. Police interrogated the boy without allowing his father to be present and released him without charge eight hours later. Article 14 of the International Covenant on Civil and Political Rights, which Israel ratified in 1991, requires court procedures to take into account the age of child defendants and “the desirability of promoting their rehabilitation.” The Convention on the Rights of the Child, which Israel also ratified in 1991, elaborates on this requirement and directs states to ensure that children are “not compelled … to confess guilt.” The Committee charged with interpreting the convention has stated that this includes a right to request the presence of a parent during questioning and that judges must take into account the absence of a parent or lawyer during interrogation, as well as other factors, when considering the reliability of confessions. Israel’s Youth Law and military orders applicable in the West Bank require police to notify a parent of their child’s arrest and to allow the child to consult with a lawyer prior to interrogation. The Youth Law also entitles a child to have a parent present during their interrogation, except in cases of alleged “security offenses,” such as throwing stones. Although the Youth Law applies only to Israel, according to the military in practice this requirement is also applied in the West Bank. Human Rights Watch submitted its preliminary findings, including details of five of the individual cases it investigated, to the Israeli Defense Forces (IDF) and to the Israeli police. The separate responses of the IDF and Justice Ministry, which responded on behalf of the police, failed to address the specific allegations of unnecessary force during arrest and subsequent ill-treatment, while asserting that security officials had adhered to the law in all cases, including by informing the children of their rights. They stated that interrogations of Palestinian children are conducted in Arabic and frequently recorded, and that Hebrew language documents are translated into Arabic. The responses did not in all cases directly address the question of whether officials had notified parents of their children’s arrest. In its response, the IDF said that breaches of procedures are viewed seriously and may lead to a ruling that a confession is inadmissible as evidence against an accused. The IDF cited several cases in which children were released due to serious interrogation process violations. Human Rights Watch investigations indicate that existing laws are insufficient to safeguard the rights of Palestinian children in the custody of the Israeli police and the IDF, and that officials often adhere to legal requirements and procedures in a manner that undermines the protections they aimed to guarantee. For example, they often record interrogations to prevent the use of violence and threats against children, but many of the children interviewed complained that they were beaten or threatened before their official interrogation as an inducement to “confess.” Furthermore, several children said they were informed of their right to consult a lawyer only immediately before their interrogation and the police or military refused to delay the interrogation until their lawyer arrived. Israeli interrogators use Arabic when interrogating Palestinian children but frequently use Hebrew to document the interviews – only 138 of 440 interrogations they conducted in 2014 were documented in Arabic, according to the Israeli military – or fail to audio or audio-visually record the interrogation – 128 of 440 cases in 2014, according to the military. This means that in many cases alleged confessions or other incriminating statements by detained children are documented in a language they do not understand, and there is no way to ascertain whether the documents were accurately translated to the children before they signed them. Confessions obtained from children in violation of their rights add to the pressure on them to cooperate in plea bargains that result in their imprisonment with reduced sentences, Human Rights Watch said. Human Rights Watch decided to focus on the issue of abusive arrests of children because reports by local human rights organizations and news media indicated, and follow up research confirmed, that there appeared to be a pattern of such arrests. Human Rights Watch initially identified the cases for documentation based on these reports, where preliminary information indicated the likelihood of abuses. Human Rights Watch obtained the consent of the children and at least one parent before conducting interviews and informed them that the interviews were to be in a human rights report. In some cases the report withholds the full names of interviewees to protect their safety and privacy. Human Rights watch did not offer interview subjects any remuneration. The Israeli military conducts nighttime arrest raids on children’s family homes. In 2013, it arrested 162 children during such raids, according to the military. In February 2014, the military introduced a “pilot project” of issuing summonses to the families of children wanted for questioning in two areas of the West Bank, but it cancelled the project in January 2015 due to an increase in violence during the summer, and said it did not keep statistics on the project. The Israeli military had classified 163 Palestinian children from the West Bank as “security detainees” – including children convicted for offenses like throwing stones, but not including other “criminal detainees” – in Israeli detention at the end of January 2015, according to Israel’s prison service. Palestinian children from East Jerusalem, occupied territory that Israel has purported to annex to its territory, in violation of international law, are detained under Israeli domestic law rather than military orders. 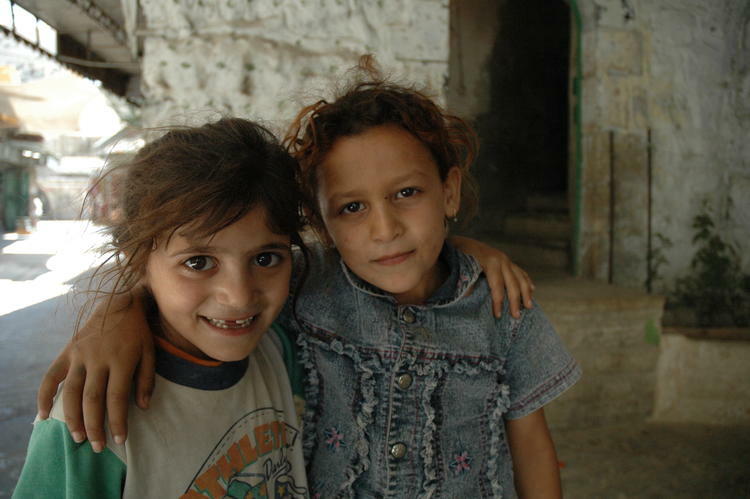 Figures for children from East Jerusalem in detention were not available. The police forces tore off Rashid’s shirt and coat during the arrest, he said. Human Rights Watch viewed a photograph taken by a neighborhood resident that shows the boy, shirtless, being held by an Israeli border policeman. At some point during or after the arrest he urinated on himself in fright, he said. Rashid and his father, Kayed, said that the police did not give him anything to keep warm for several hours. Weather records show that it was about 12 degrees Celsius in Jerusalem that day. Rashid said that the police drove him to a settlement in the neighborhood, put him “in a storage room” for about 15 minutes, then drove him to a police office near the Hebron Gate in the walls of Jerusalem’s Old City, put him “in and out of a car,” and otherwise held him outside for about an hour. The interrogation lasted for about an hour, and was recorded, Rashid and his father said. Rashid did not confess to throwing stones, but said he had run from Israeli forces simply because the forces had thrown a stun grenade at the group of children he was standing with. He said that older boys in the group had thrown stones but he did not know their names. “When he got home he had nightmares,” Rashid’s father said. “He woke up screaming for four or five nights in a row.” Rashid told Human Rights Watch that he dreamed of being arrested, “over and over again,” and was scared of going to school. Israeli forces’ mistreatment of Palestinian children is at odds with its claim to respect children's rights. As Israel’s largest military donor, the US should press hard for an end to these abusive practices and for reforms. Earlier in 2014, Rashid said, Israeli police had arrested two of his 11-year-old classmates, Adam and Bara, on suspicion of throwing stones, holding one of them overnight. Human Rights Watch viewed a video and photographs that showed a border policeman putting Ahmed in a chokehold during his arrest. “They didn’t ask me anything, they just told me, ‘Tishtok,’ because I was crying – it means, ‘Be quiet.’ “A kindergarten teacher and two guys from the neighborhood were trying to convince them to let me go, but they ignored them and arrested one of the guys, too.” Ahmed said he urinated on himself out of fear during his arrest. They were choking the boy, I could see he was terrified. I kept trying to talk to the police, saying that he was underage, that we will guarantee to bring him to the police station if they would just let go of him, but they refused. I kept trying to talk to them but they took the child, so I walked away. Then a police officer came over and accused me of throwing rocks, arrested me and put me in the jeep with the boy. They handcuffed me, but not him. I was trying to calm him down, he was crying and very scared. Ahmed and Mohammed H., interviewed separately, said that police detained them for an hour and shouted abusive language at them in Beit Orot, but did not hit them. The Justice Ministry told Human Rights Watch that, contrary to the claims of Ahmed, Nidal, and Mohammed, Ahmed’s mother was present at the interrogation; they also said that he was 14, not 11. Human Rights Watch verified Ahmed’s date of birth and, in light of the inconsistent evidence, alerted the Justice Ministry to the possibility that they confused his case with that of another child. The Ministry stood by the information, however. Ahmed said that police at the station on Salahadin Street stripped off Mohammed H.’s clothes. “We were in the same room. They took off everything, even his underwear,” Ahmed said. I asked them to take off my handcuffs, because they were cutting my wrists and my hands had turned blue. The police officer told me to face the wall. The boy was next to me and they took off all my clothes and strip searched me. Then they put my clothes back on and started to beat me on my legs and pushing me into the wall. The commander asked the officers to stop, so that they don’t damage the wall, so they pulled me away from the wall and slapped me around. Police interrogated Ahmed and Mohammed H. separately on the third floor of the police station, they both said. Ahmed’s father, Nidal, said police refused to allow him to enter the police station. Nidal then called his own father “to come to the station, and the police let him in the front door, but they wouldn’t let him into the interrogation,” Nidal said. During questioning, Ahmed said he admitted to throwing a stone. “They told me to name all the kids who were with me, who threw stones,” he said. According to Ahmed, police did not threaten or assault him during interrogation, but they also failed to inform him that he had a right to remain silent (which he had under Israeli law) or that he could call his parent. Police released him without charge after interrogating him for an hour. Mohammed H. said that police transferred him to the Moskobiyya detention facility, and “slapped and cursed” him in the vehicle on the way there. He was detained overnight and released without charge. Police have many times arrested students for throwing rocks at their vehicles stationed outside the school’s entrance, Ahmed said, including 2 of the 30 students in his class. Parents of other children at the school and members of a parents’ committee, interviewed separately, gave consistent accounts of the police presence at the school, and repeated incidents in which Israeli security forces fired tear gas and rubber bullets at students, often in the context of stone-throwing but students and their parents also allege without provocation on some occasions.